Because, like, I'm Italian, sort of | I made that! Finally! Finally I have time to cook a nice meal for myself! To be honest, I had to make myself do it. Why? Because as far as I am concerned it is Spring. And every year, I love to welcome my absolutely favorite cooking season with a delicious dinner. It’s usually Italian and ALWAYS includes fresh English peas and asparagus. I know technically asparagus and peas aren’t growing in Washington quite yet, but I just spent the week in San Francisco and decided that as a transplant I’m allowed to import the good stuff from California. You know, for special occasions. Around my house we’re still perfecting the gnocchi, so I decided to make a Springy lemon gnocchi with a lemony cream sauce. Can you say happy? And did I mention we had friends coming over? FRIENDS! New Seattle friends! 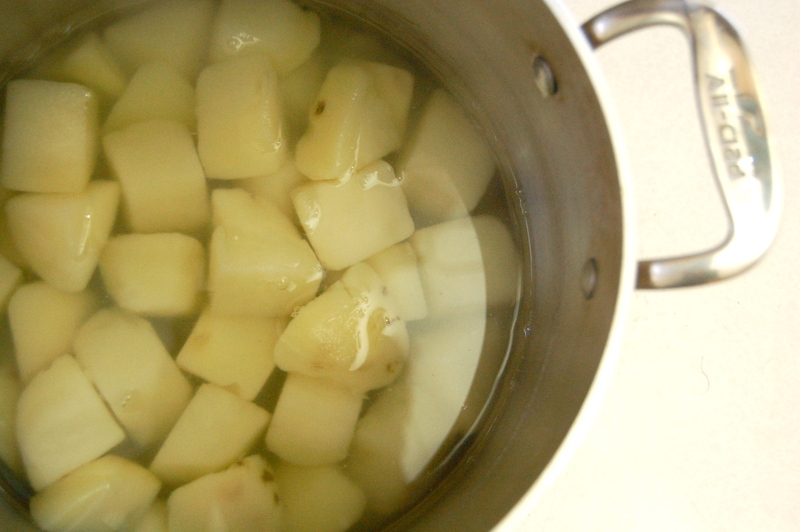 First step – boil the potatoes until they’re nice and smooshy. After they boiled, I drained the water out and placed them back in the pot. Then I continued to cook them over medium high heat to get as much of the water left in them to evaporate. That step keeps you from having to add too much flour into the dough later. Once they were dried out a bit (and getting dangerously close to burning), I pushed them through a ricer. 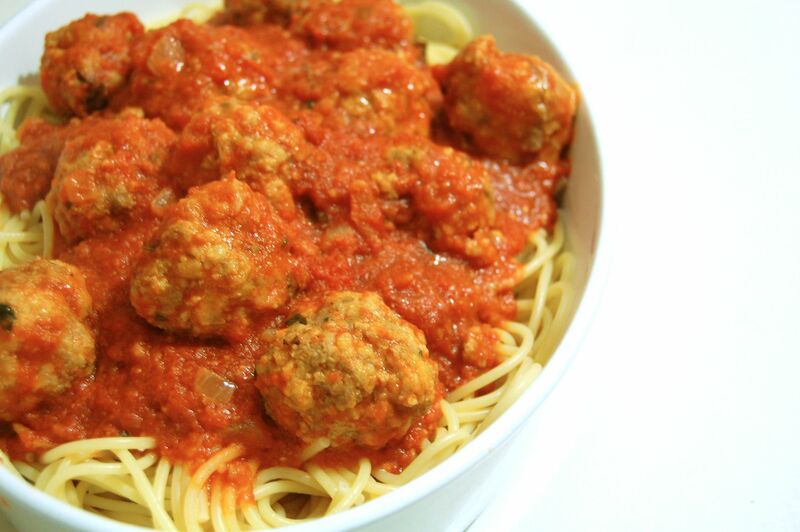 Don’t they just look adorable as spaghetti? I sprinkled on some flour and started kneading until all of the potato was coated. Then I added some egg yolks, lemon zest, salt and olive oil. I kneaded everything together, adding more flour until the dough was smooth and not too sticky. 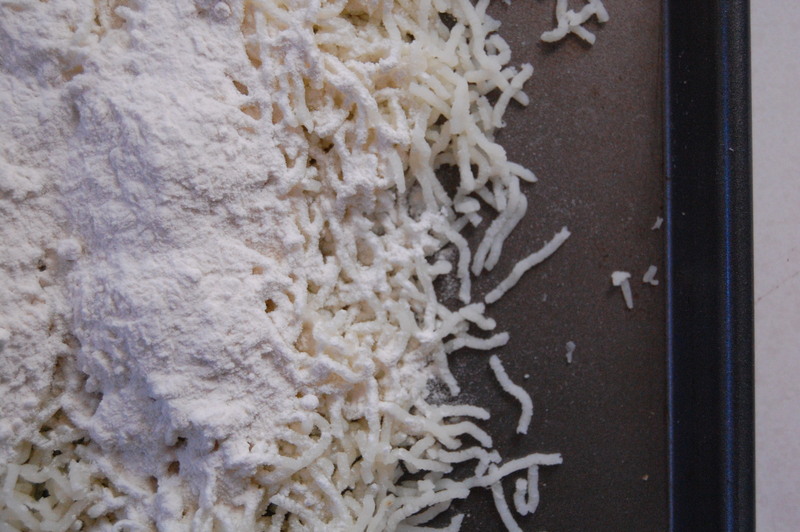 You can never get all the stick out, but I prefer to just roll the finished gnocchi in flour than add too much into the dough. I rolled long tubes of dough and then sliced them into little pillows. I popped the little guys into the fridge to chill while I worked on the sauce. And by sauce, I mean cream sauce. 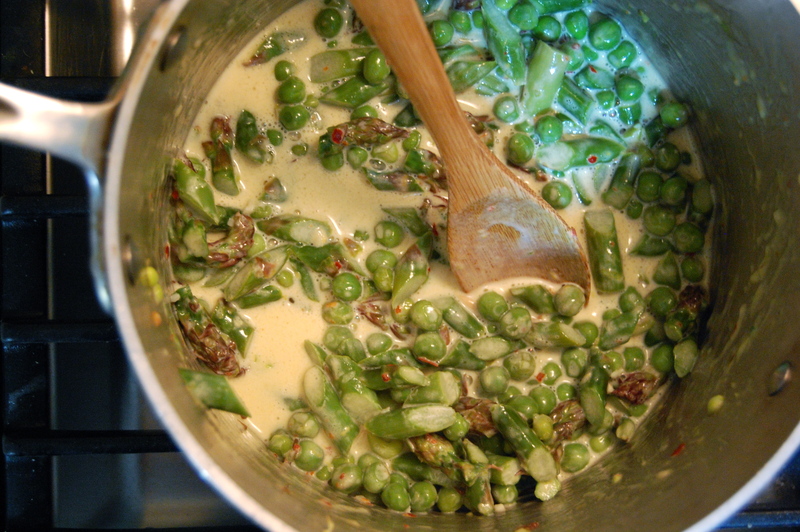 A yummy cream reduced with peas, asparagus, garlic and chili flakes. Once it was a nice thickness I stirred in lemon juice, zest and parmesan. In the meantime we boiled up the gnocchi (which thankfully only needs to cook for 1-2 minutes). 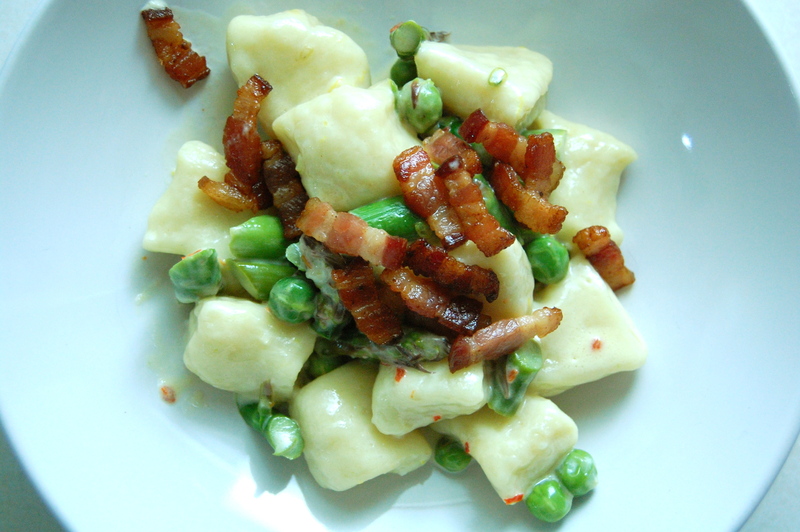 I tossed the gnocchi into the lemon cream sauce and sprinkled on some bacon. Of course there was bacon! Pancetta would have been nice as well, but I just ordered 3 lbs of bacon form Zoe’s and was itching to put it to good use. The whole dish was super yummy. 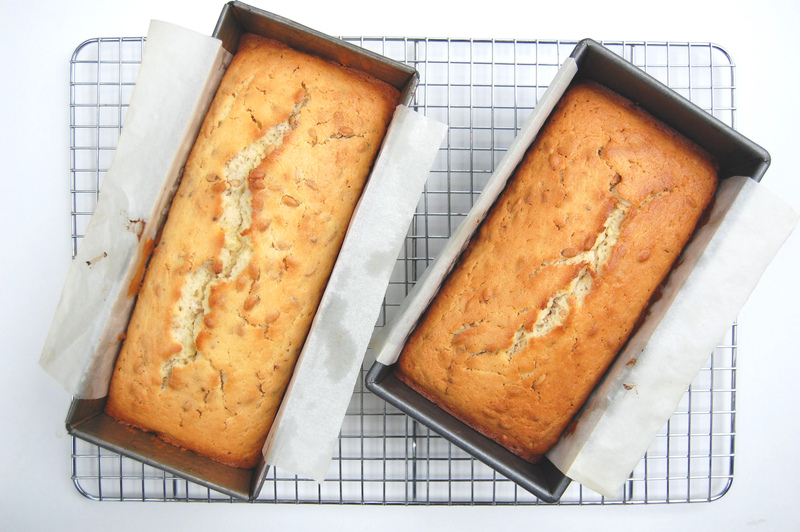 Not too rich, not too lemony, just right and totally Springy. – In a medium saucepan, cover the potatoes and bring to a boil. Simmer over moderately high heat until the potatoes are tender, about 15 minutes. Drain the potatoes, then return them to the pan. Shake over moderately high heat until dry. 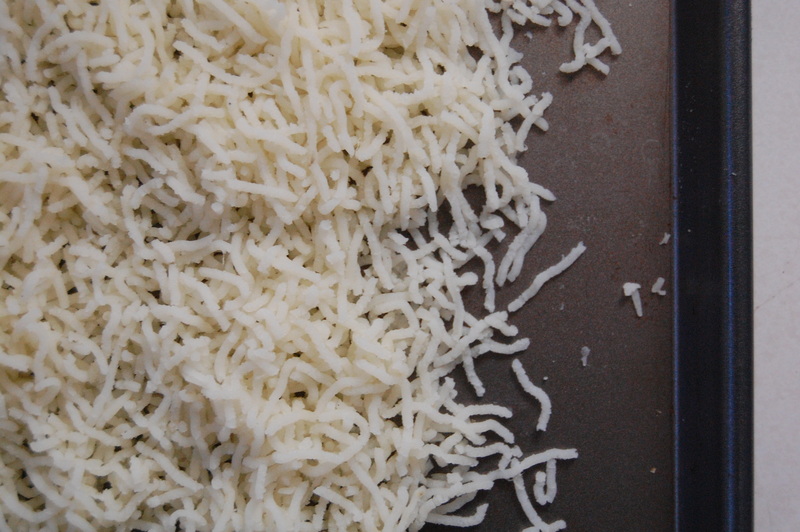 – Working over a large rimmed baking sheet, rice the hot potatoes in an even layer. In a small bowl, whisk the egg yolks with the lemon zest, olive oil and the salt and pour over the potatoes. Sprinkle the flour over the potatoes and stir gently just until a dough forms. 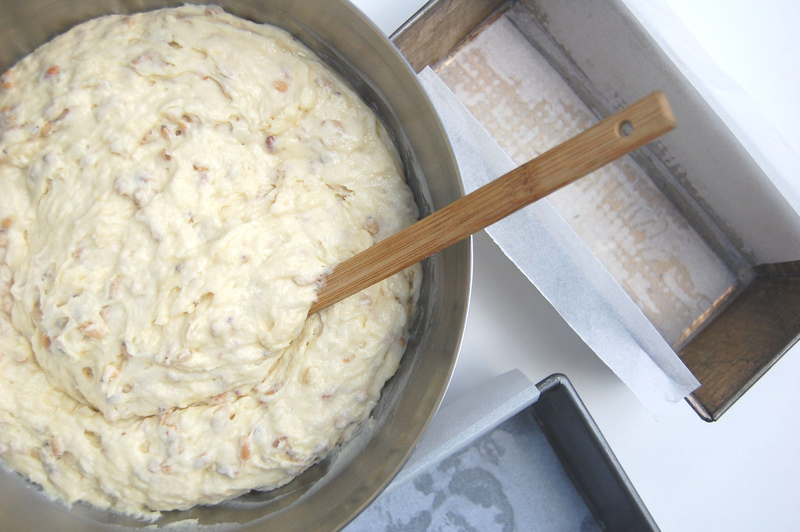 – Gently roll the dough into four 1/2-inch-thick ropes. Using a sharp knife, cut each rope into 1/2-inch pieces. Toss in flour if sticky. 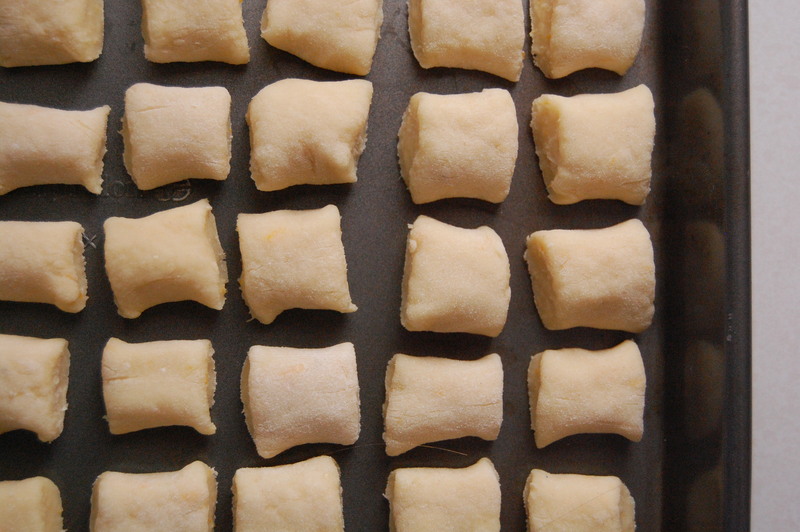 Transfer the gnocchi to a baking sheet, cover with plastic wrap and refrigerate. – In a skillet , cook bacon over low heat until fat renders out. Drain out the fat and reserve 1 TBSP for sauce. – Bring cream to a simmer in a small saucepan. Add asparagus, peas, red-pepper flakes, garlic, reserved bacon fat and 1/4 teaspoon salt. Simmer, until peas are tender and sauce has thickened, about 5 minutes. 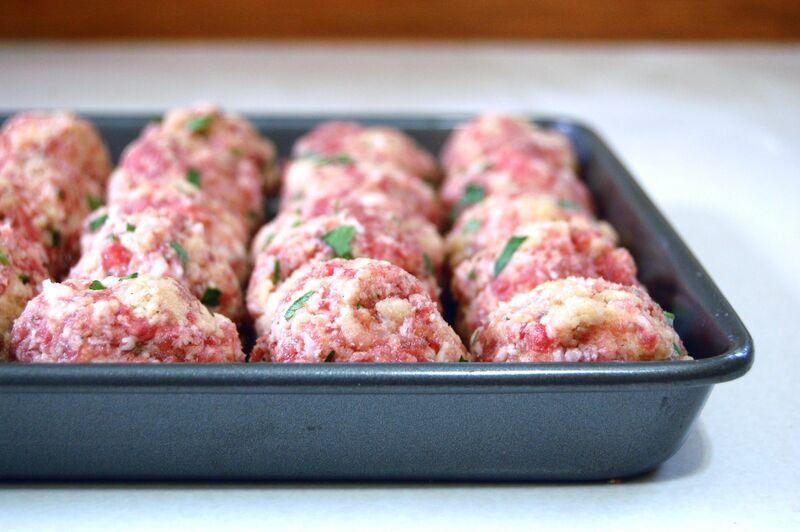 – Remove from heat and stir in lemon zest, juice and parmesan. 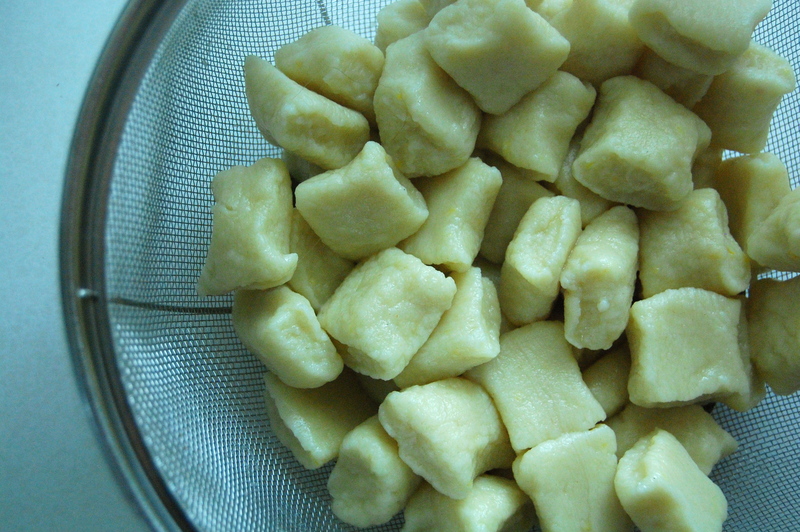 – Meanwhile, cook gnocchi in a pot of boiling salted water until the gnocchi floats. Drain gnocchi. – Add gnocchi to the sauce and stir to coat. – Plate and sprinkle with bacon. FINALLY. John cooks for me. Granted there was a dinner party, and we were making an appetizer. But still. I love it when he cooks. And there’s no better way to make me happy than with homemade gnocchi. He started by boiling potatoes and pushing them through a ricer. Then he mixed in some flour, salt and egg. And kneaded it into a dough. Then he rolled out little rods and chopped them into little pillows. And we served it with some sauteed sweet corn & zucchini, topped with a bit of pancetta and some parmesan. 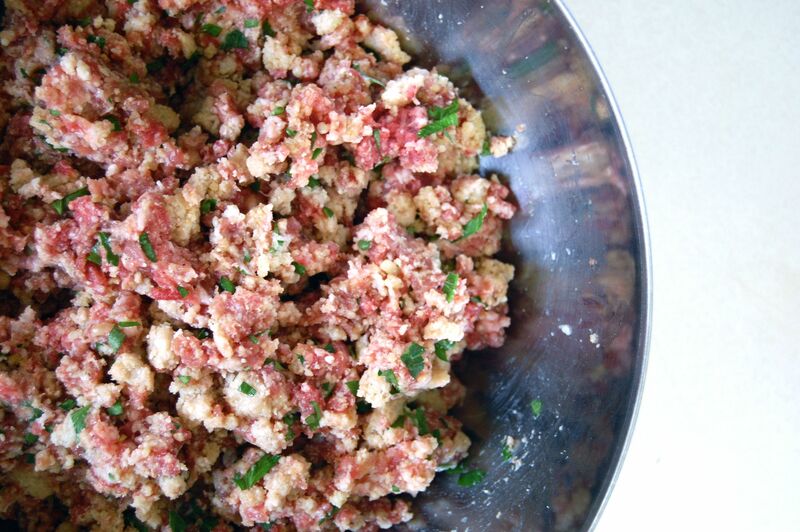 – Process everything in the food processor until smooth scraping down the sides. 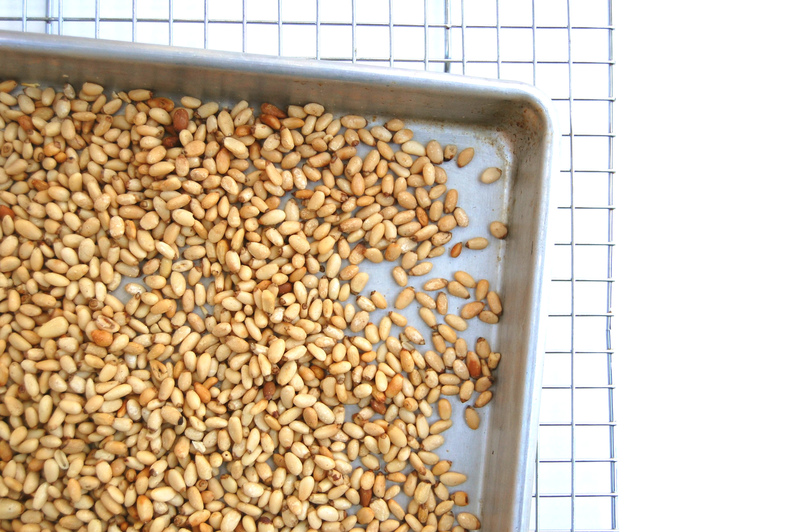 – Through the feed tube as the machine is running, slowly add 1/2 cup olive oil and continue pureeing until smooth. Another Tuesday and here I am making pasta again. It’s spring (and I woke up to rain, sad) and I was just feeling it, you know? I’m more confident of my pasta making after my excellent raviolis, so I’m ready to add flavored pastas to my repertoire. Since right now everything in my backyard is bright green, I was thinking spinach pasta was in order. It’s basically the same as making regular pasta, just with a few more steps at the beginning to get all that spinach flavor (and color) into the dough. First I tore all the stems off of my spinach leaves. Then I boiled them for about 45 seconds. I threw the boiled spinach into an ice bath to cool down. Once cooled, started trying to get all of that water out. There are probably many methods for that, but mine consisted of layering the leaves in paper towels and then rolling the stack into a log. And then doing it again with new paper towels. After they seemed dry enough (whatever that is) I pureed them in the food processor. The food processor didn’t seem to understand the severity of my need to get minuscule little bits of green (too large chunks will get caught up in the machine, I learned this the hard way, with some failed beet pasta – I’ll tackle that one again someday), so I threw the spinach in with my eggs and pulled out the (little) big guns, the immersion blender. Have I mentioned yet that immersion blenders rock my kitchen world? I can’t believe there was ever a time when I didn’t have one. I think tony gave me this one years and years ago, thanks tony! After finally getting a smoother puree, I starting mixing my dough. Typical pasta method: I put the flour in a shallow bowl and made a well in the middle. 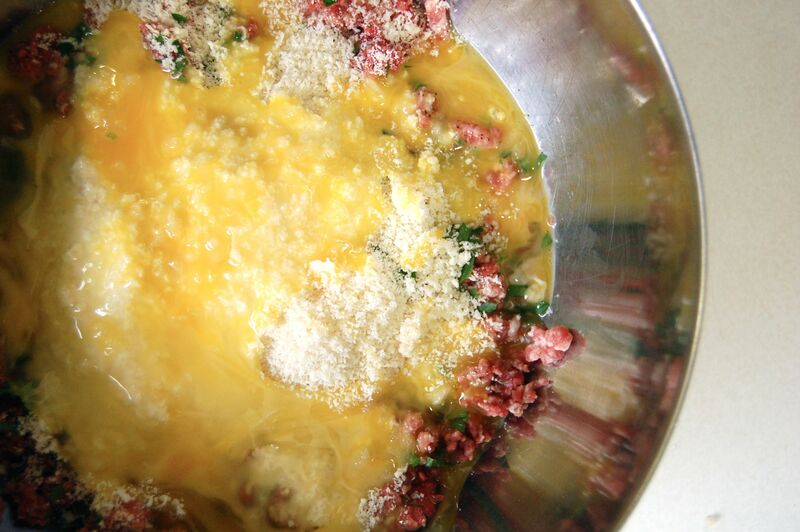 Then I poured in the egg/spinach mixture and started stirring, slowly incorporating the flour from the sides. I did that until it came together into a mass to dense to stir, and then I started kneading. I kept kneading in more flour until it stopped feeling wet (I never use all the flour). Then I plopped my dough onto a floured surface and kept kneading for about 8 minutes. The dough needed to hang out for an hour, to relax all that gluten. The sun was out again (!) 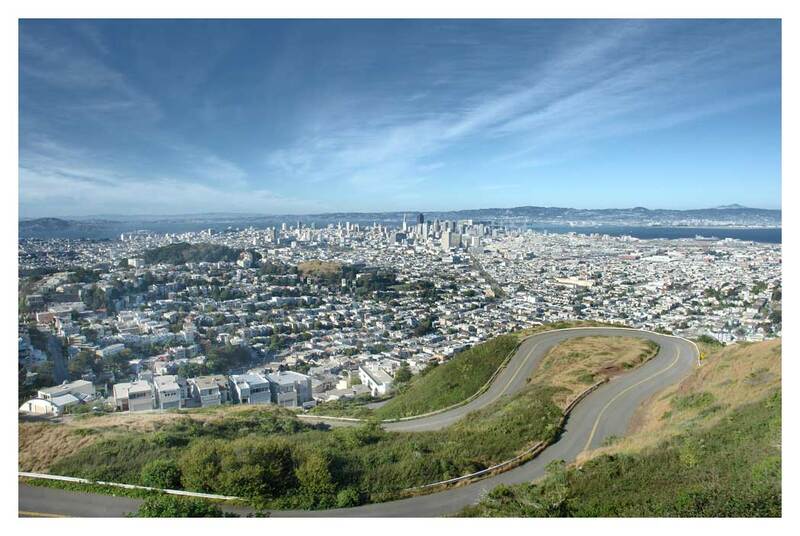 so it was just enough time for me to do a quick bike ride up twin peaks (the hill, not the TV show), take in the view, ride back down and start a-rolling! I decided to make a fettucine out of my pasta sheets. Since my machine already has a setting for slicing into perfect little strips, it was easy peasy! And we’ve got fresh spinach fettucine for our 90210 dinner tonight! I probably won’t take any pics of it sauced, but we’re freestyling a lemon chicken artichoke cheesy creamy sauce. With capers, I believe there are some capers in there somewhere. Yes! But I did take a picture! It’s that moment when I know I’m about to enter a world of “Oh my god, I’ve been doing this for 5 hours, why am I not done?” At this point in our relationship, I think John has learned to leave the house quickly and quietly when he sees me dragging the pasta machine out of the pantry. Because, inevitably, I will be moaning and groaning until he is guilted into helping. But sometimes a girl just wants some homemade pasta. 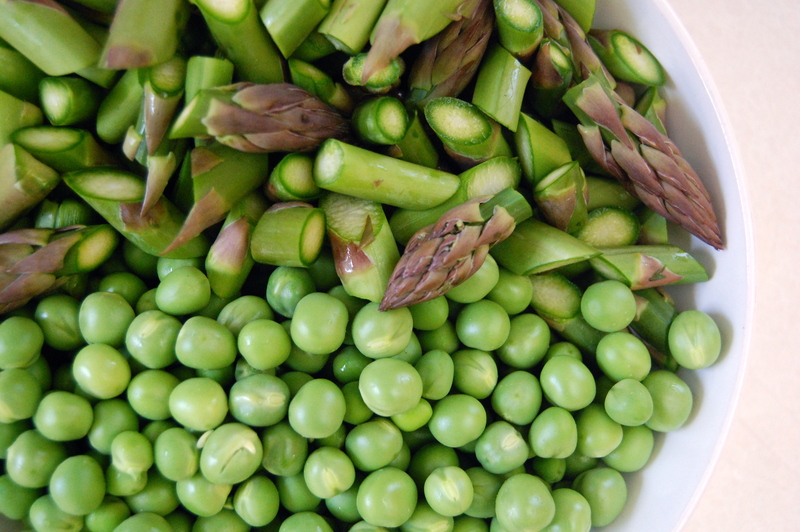 It’s spring and I’ve got fresh asparagus and english peas that want some lovin…Italian lovin. I’ve been watching the pasta dude at work, I think I’ve got a few more tricks up my sleeve. I can DO this. Peas are awesome. Simply awesome. I understand how if you were to grow up eating English peas out of a can, you might think they are all kinds of icky. But I didn’t. I grew up with fresh southern peas from the pea patch in the woods behind our backyard. While we didn’t grow English peas (we’ve got all kinds of crazy peas in the south), my love of peas does not discriminate. So I’m gonna celebrate these little guys, because they only come out to play for a few months every year. This time, John made the mistake of coming home too early. So I snagged him for some help. Turns out he just keeps getting better and better with the pasta machine. He cranks out much nicer pasta sheets than me! So maybe it was meant to be. I prepared a filling of peas & asparagus that I boiled in vegetable stock, homemade ricotta, parmesan, lemon zest, bread crumbs and chili flakes. I pureed them into a nice fluffy cream that I piped onto John’s beautiful pasta. Then I layered on the top sheet. And stamped out little circles for my raviolis! Since they were so fresh, the raviolis only took a minute or 2 to cook. I served the raviolis in a vegetable broth that I had simmered with the asparagus & peas that went into the filling, and some parmesan rinds I had been saving (I KNEW they would come in handy some day!). I threw in some fresh peas, the asparagus tops and shaved some parmesan to finish. It was pretty decadent. I kept thinking, “Wow, I can’t believe I actually made that”. Most definitely worth the effort.